Some weeks I’m reading like crazy and other times, it takes me a couple weeks to finish one book. I love this time of the month, because it helps me figure out what I should read next. Not that there aren’t enough on my list already, but there’s always room for more, right? Last month was kind of a here and there month for me, where I didn’t really love anything although there were some good books. 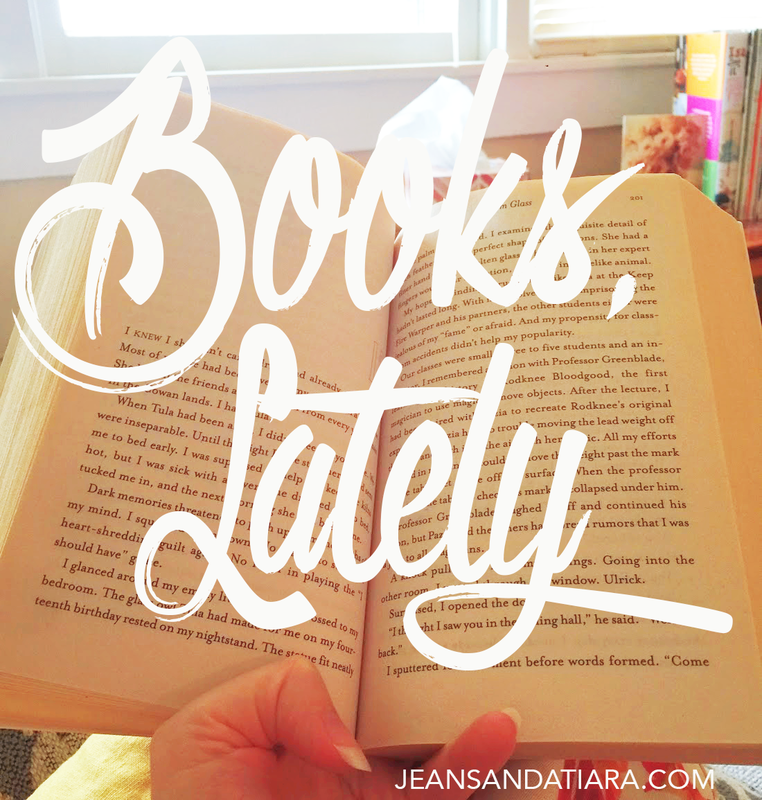 I felt like this month improved and I found way more books I was more in the mood for. This was a pretty intense start to a series and I really enjoyed it. It is definitely reminiscent of Hunger Games and Ender’s Game and although it may be categorized as young adult in some places, it felt like a more adult story of those. The author has his own style, though, so while it is similar in some ways, it’s also well built and cool on its’ own. It’s also more violent than those stories in some parts, at least in description. I recommend if you like sci-fi/fantasy and uprising stories. I just started the second book in the trilogy, so I’m excited to see where it goes. This kind of book ticks off all my favorite things – interesting main character, mythological features, and a beautiful world. It seems like a series I want to keep reading and hopefully can get my hands on the second book. I have been in kind of a magic mood, because this one also featured magic, although with faeries. I am a fan of Holly Black, so if you’ve read anything by her, you’ll probably like this. Or if you’re in the mood for a world filled with faeries and princes and things. 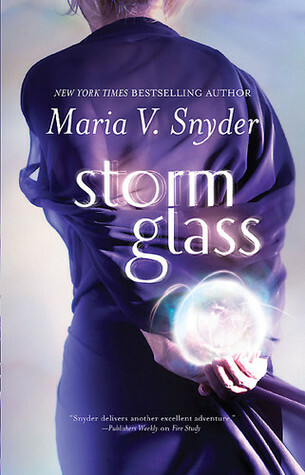 This book is set in the same world as Snyder’s Magic Study series, which I read the first couple books of ages ago. I thought the plot was a little scattered in Storm Glass, but it does make me want to reread the Magic Study series, since its’ characters and plot were mentioned a LOT. I may keep reading this series afterward, since I liked the characters and it came together in the end. I’m linking up with Steph and Jana today for Show Us Your Books. I can’t wait to see what everyone else has been reading. As always, you can find me on Goodreads here. Pierce Brown's series sounds so good – I think I'm going to have to give it a try soon. Definitely going to read the Red Rising trilogy soon! I also thought the Red Tising trilogy felt more adult on the whole than other YA books. I loved it. Steph raves about the Red Rising trilogy. I think it's on my TBR but I'm not sure. I've heard a lot of great things about Daughter of Smoke & Bone! These are some interesting reads, although I don't know if they're quite my cup of tea. Haha. I'm glad you enjoyed them for the most part, though! This is why I love this link up – I've never heard of any of these books. I learn so many new things on Book Link up days. what book are you reading in that picture? i am so nosy! i just picked up all 3 of the red rising series from the library so i am super excited!! have you read red queen, i forget. i have heard they are similar, but red rising is better. i also just picked up the darkest part of the forest so i'm so glad you liked it! Hmmm I think I am going to add Daughter of Smoke and Bones to my list. I could go for something different. Or do you recommend The Darkest Part of the Forrest more? I haven't tried any of these, but adding Red Rising to my list! 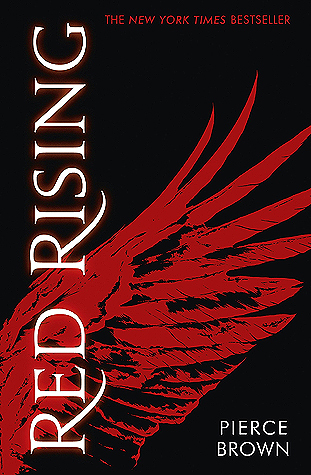 I'm going to read Red Rising for Erin's Challenge and can't wait to start it. Everyone seems to really love the series! I've also heard lots of great things about Daughter of Smoke and Bones and have been meaning to dive into that series too. 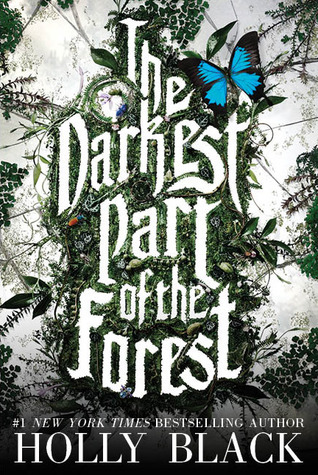 The Darkest Part of the Forest also looks right up my alley and I haven't read anything by Holly Black, so looking forward to giving her books a try too! I keep on hearing about Red Rising, so obviously I need to break down and read it ASAP! Also, Daughter of Smoke & Bone sounds really interesting too. I'm always a fan of a little magic in books, so this sounds right up my alley. I just read my first Holly Black book this week and I really enjoyed it. I will definitely check this one out as well! I agree that Red Rising feels way more adult than YA. I think it's Brown's level of writing. I LOVE the Red Rising books so I'm excited to see what you think of the other two books. I have all the Smoke and Bone books on my shelf but haven't got to them yet. I'm pretty sure I'll enjoy them.